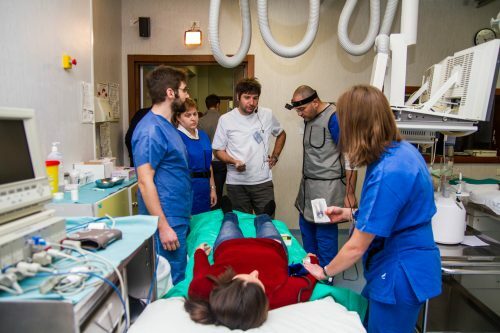 A first-ever course of “In-situ Simulation” on acute stroke pathway. 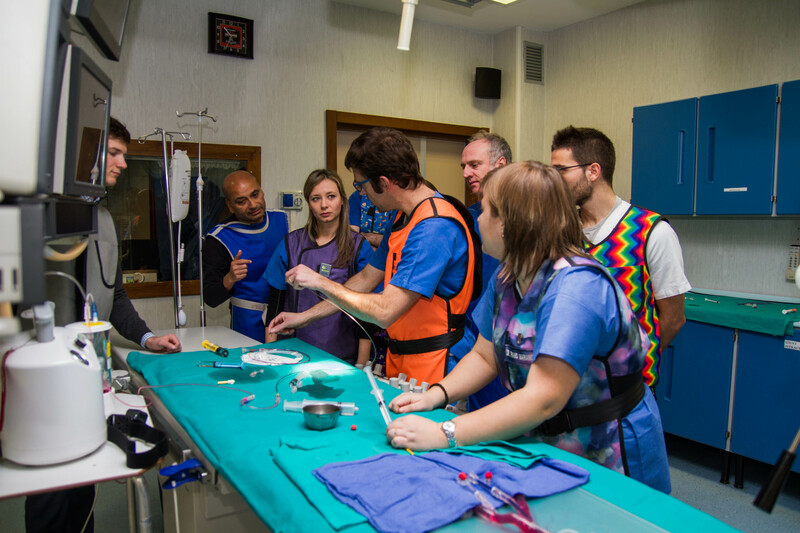 This course is an example of application of high-fidelity simulation technique on stroke care in the context of a real hospital. It will allow to simulate the decision making process in the management of clinical scenarios of acute stroke patients. The simulation technique facilitates the communication and team workingbetweenthefiguresinchargeforthemanagem-entof stroke patients from ER to Stroke Unit admission. 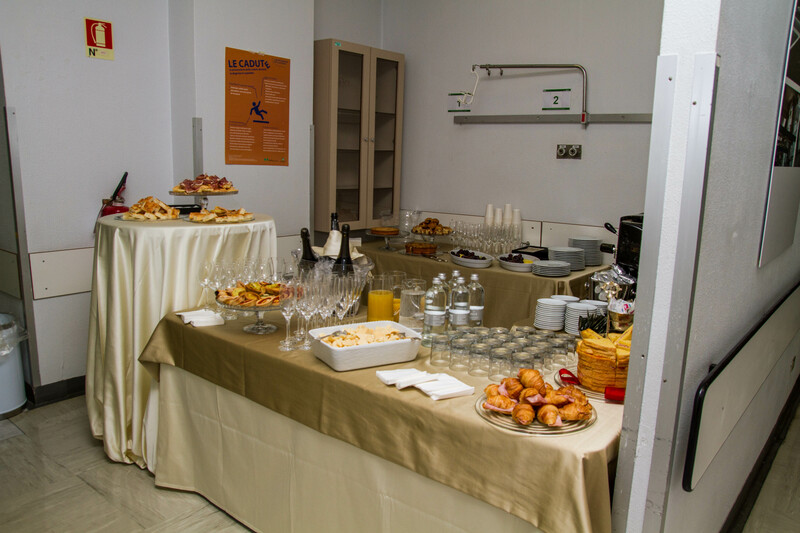 The course specifically focuses on communication aspects between neurologists and neuroradiologists in the process of the critical thinking and the decision for the optimal management of acute stroke patients. 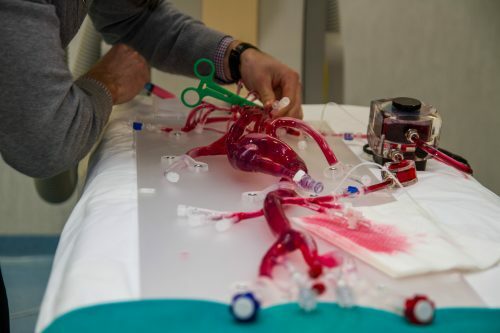 The simulation technique is also applied to sessions dedicated to task training for technical skills for endovascular procedures using the FLOWMODDA model. Participants to the course are involved in a high-fidelity experience of simulation of stroke clinical cases as well as they can experience task training of endovascular procedures of thrombectomy using a 3-D flow model.